If you are looking for quality Sedona condos, Patios or Townhomes - there are many options when choicing this particular lifestyle and amenites. Are you looking for Condo with amenities like a pool, tennis, and golf? 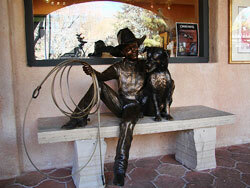 Or are you looking for a detached Sedona Patio Home, or a Sedona Townhome? Let me, Barbara Baker and my experience in this arena help you find the perfect Sedona condos for sale. While there are a variety of styles of homes available in each neighborhood, Sedona condos are quite popular among couples and retirees. With spectacular views of the rocks and hills as well as great locations in the heart of town, Sedona condos are a wonderful way to enjoy all that Sedona has to offer. And best of all - outside maintenance is covered by the HOA - so all you need to do is "Lock It and Leave It". Sedona condos are available at every level of luxury, with a variety of spacious designs and options. Whether your Sedona condo will be a hub for entertaining guests or a cozy getaway from the world, you will find a condominium that can give you precisely the lifestyle that you are looking for. There are also a variety of amenities to choose from, with pools, tennis, and other recreation and social activities available within many Sedona condo communities. Need more information on Sedona schools, neighborhoods or current market conditions, contact me, Barbara Baker by filling out the form below or calling 928-301-0669 today! I look forward to hearing from you!